Participants practice their casting and fishing skills during the workshop. LDWF Aquatic Volunteer Instructor assist participant with fish cleaning. The Louisiana Department of Wildlife and Fisheries (LDWF) and the Louisiana Department of Wildlife and Fisheries Foundation (LWFF) are teaming up to present two Women’s Fishing 101 Workshops this spring. 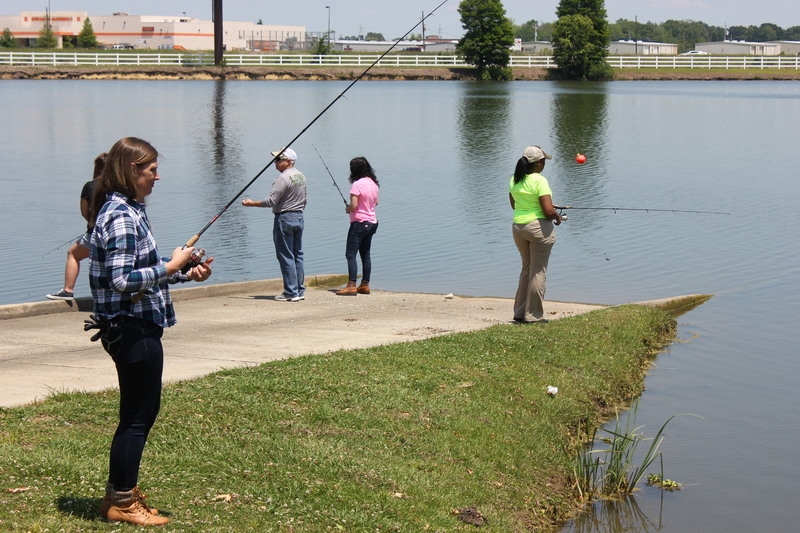 The workshops are open to women over the age of 18 who are looking to learn about fishing and utilizing Louisiana’s aquatic resources. The workshops cover a variety of skills to help make fishing more enjoyable. 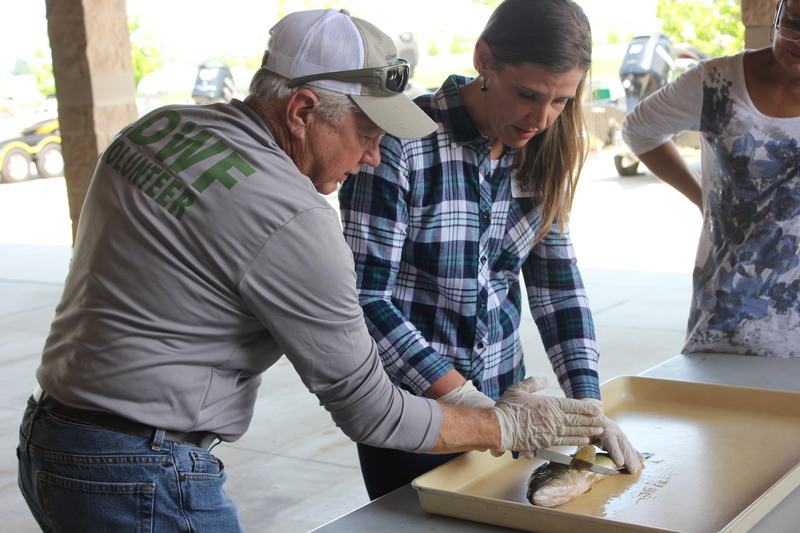 LDWF biologists and aquatic volunteer instructors will train 30 women per event in fish identification, best fish handling practices, preparing fishing equipment, basic fishing skills, as well as cleaning, storing, and cooking fish. Fifteen participants will be randomly selected from each course and get the chance to apply their newly learned skills on an overnight weekend fishing trip under the direction of LDWF biologists and volunteer instructors. Interested women can click HERE to register. Please remember that each Women’s Fishing Workshop will be limited to 30 participants per date. Participants may only attend one workshop. Selected registrants will be notified via email or phone prior to each workshop. Participants must possess a valid Louisiana fishing license. To purchase a fishing license, visit www.wlf.louisiana.gov/licenses-and-permits. The Louisiana Department of Wildlife and Fisheries is charged with managing and protecting Louisiana’s abundant natural resources. For more information, visit us at www.wlf.la.gov , on Facebook at www.facebook.com , on Instagram @WLFLA, or on Twitter @LDWF. The Women’s Fishing Workshops are hosted in conjunction with the Louisiana Wildlife and Fisheries Foundation. The LWFF was formed to provide a means for individuals and corporations to become partners with the Department and Commission in the challenge of conserving Louisiana’s wildlife and fisheries resources. Women’s Fishing 101 Workshops are funded by the Sport Fish Restoration Fund, a USFWS grant program that provides grant funds to the states, the District of Columbia and insular areas fish and wildlife agencies for fishery projects, boating access and aquatic education.